Anyone out there heard of chem trails?? These are the large, white lines across the sky, made by jets. oh yes you say, i know those, but they have always been there,right??? At least as long as the jets have been flying……. If you look carefully, a normal, passenger jet ,leaves a trail of Contrails ,which disperse within a very short time, but the chemtrails stay in the sky, and slowly disperse to become whispy, white clouds, that mix together with the regular cloud cover,they can last as long as 48 hours. Okay you say, what is in this stuff then??? They are made up of toxic chemicals, which are Aluminum Oxide,Barium,and Strontium. 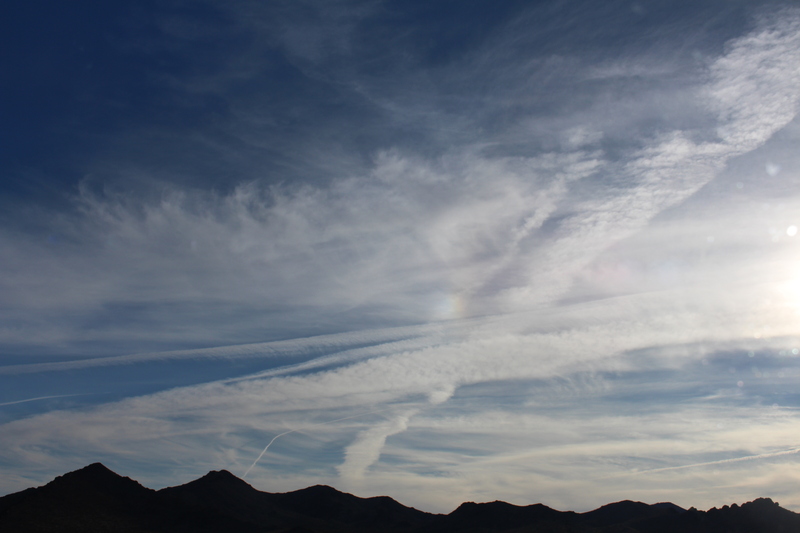 No one should ever breathe in these chemicals, and believe me , they are out there every day, they are sprayed at a height of over 30.000 feet, to slowly mingle with the existing clouds. So, just clouds then right??? Wrong!!!! I am not going to write everything i found out, i asked all kinds of questions for instance,are there chem trials in Australia and New Zealand,the answers are scary. Go to your search engine and just type in “chemtrails”,and start reading, it will tell you all you need to know. The stories are overwhelming, very, very scary!! We are all part of this, we are all breathing this stuff in, it goes into the soil, yes, you buy, organic?? well, think again, the chemicals are in the soil at those farms too. I watch the sky all the time, also because it is what sailors do, looking up, and the only time you wont see the chemtrails is when it is very cloudy, they are then above those clouds and mix with them. You can look up what these chemicals do to our bodies and brains, look at the diseases associated with them. Look all this up on the internet, we are not suppose to question these things, not even know about them, type in chemtrails, Geo-Engineering, ask some questions, i am very concerned, how about you???? ?